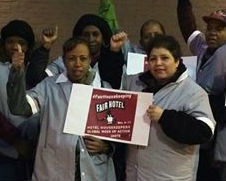 Make my workplace safe - Dignity for hotel housekeepers! 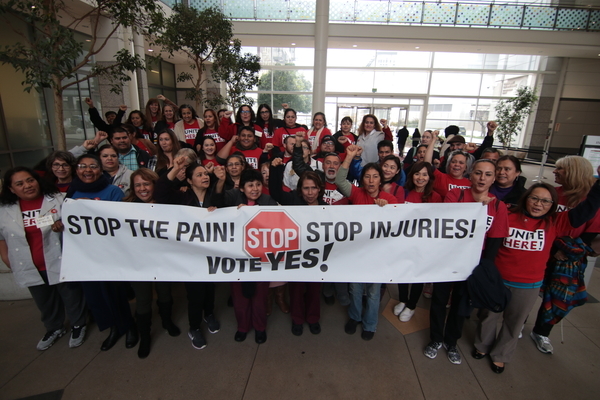 Voters in the US city of Seattle overwhelmingly approved a ballot measure on November 8 which gives hotel workers important new protection against sexual harassment and injuries on the job. 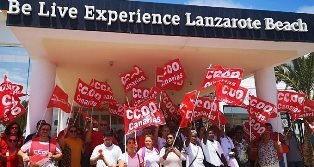 IUF affiliates in French-speaking West Africa expanded their work with housekeepers in connection with the third annual global week of action as part of their commitment to combating the vulnerability, abuse, unsafe working conditions and exploitation by unscrupulous and hostile employers facing many workers. 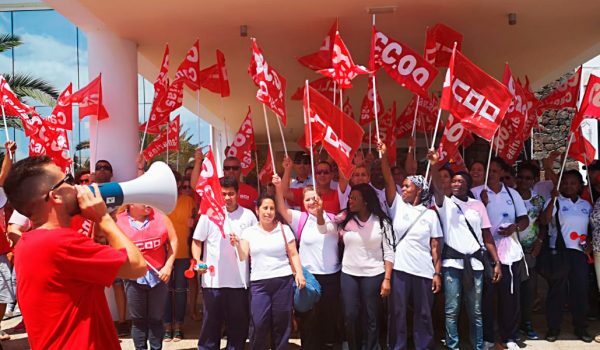 Hotel housekeepers and their unions in 34 countries and over 50 cities around the world held a variety of actions to highlight their fight for rights, recognition and better working conditions during the IUF's 3rd Hotel Housekeepers Global Week of Action from October 31 to November 6. 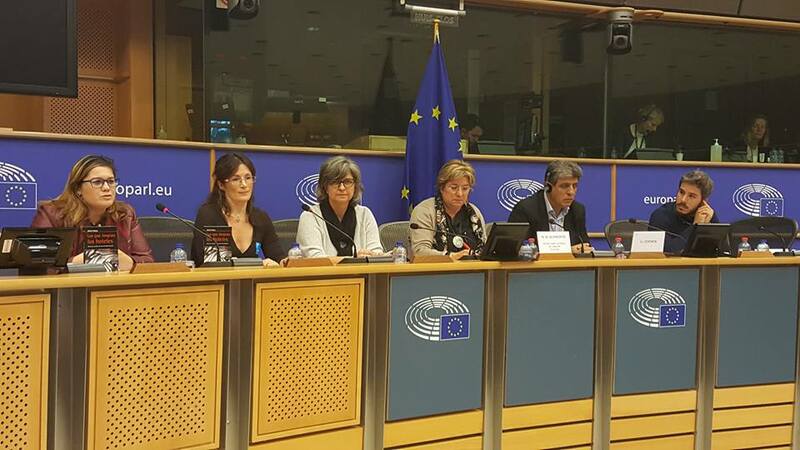 Speaking before members of the European Parliament on October 19, two hotel housekeepers who are union shop stewards called for action to put an end to the appalling working conditions in Europe's hospitality industry. 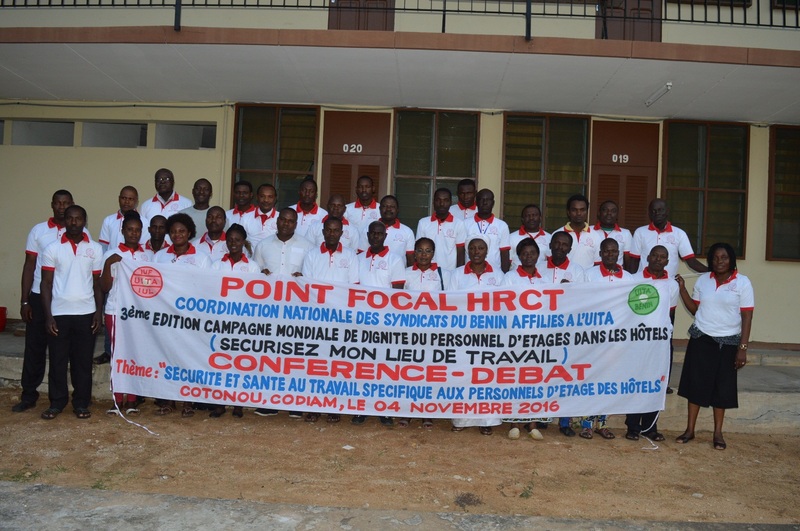 Sexual harassment was the main focus of activities by IUF affiliates in French speaking countries in West Africa, which joined the 2nd Global Week of Action with a number of workshops. With the support of the IUF and the impulse provided by the Global Action Week, IUF affiliates in Africa are organizing, strengthening their demands on employers and negotiating improved working conditions for housekeepers. 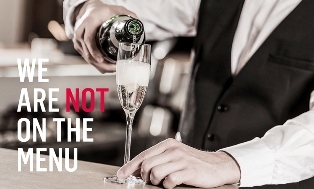 For the past four years, Unite has been investigating the way a number of well-known hotel brands make use of a practice known as the "credit system". This tells workers how much time they have to clean a room. 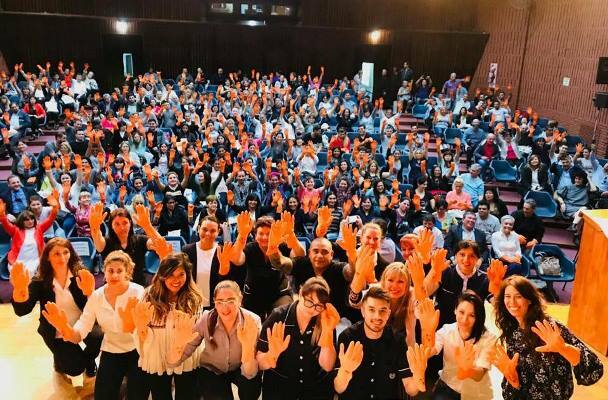 The Finnish PAM has joined the IUF's Global Week of Action with activities aimed to raise guests' awareness about housekeepers' working conditions. 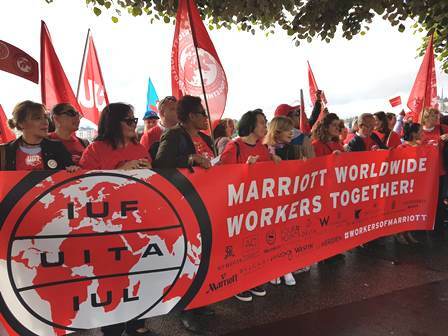 Actions have been carried in hotels in the Helsinki area, including one-day action at Helsinki airport, where shop stewards have informed guests about working conditions. 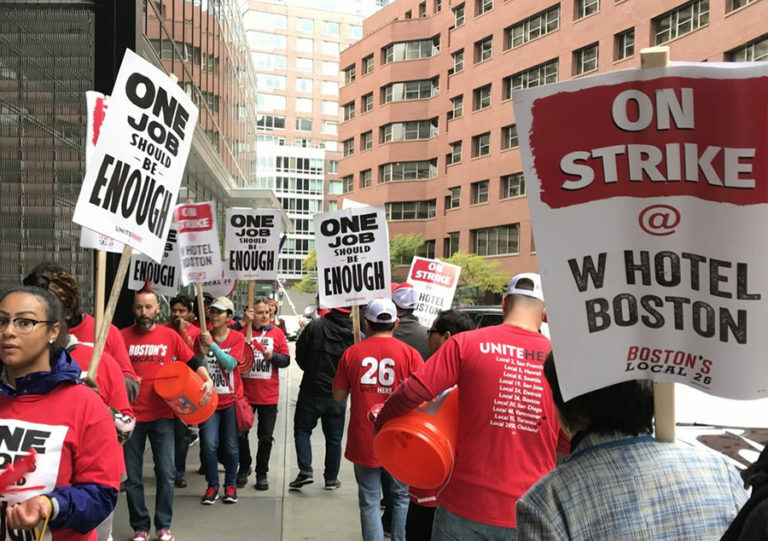 In November 2015, as part of the IUF's Global Week of Action, UNITE HERE members in over 20 cities across the U.S. and Canada joined with unions in more than 30 countries around the world in calling for safer working conditions and fair treatment for all housekeepers. 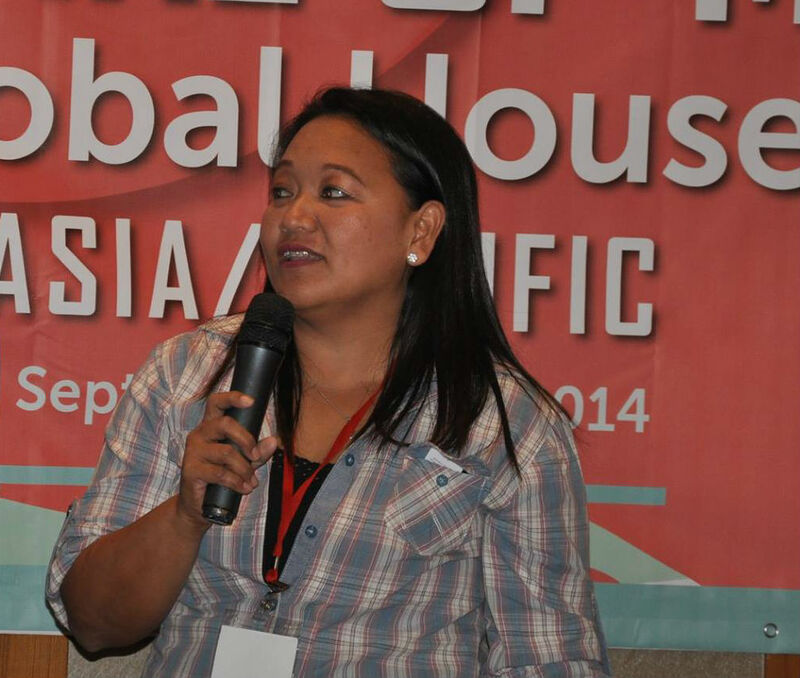 As a direct result of Global Housekeeping Campaign activities in the Philippines, the IUF-affiliated NUWHRAIN won a government administrative order for the inspection of hotels for non-compliance with national labour and health and safety regulations. 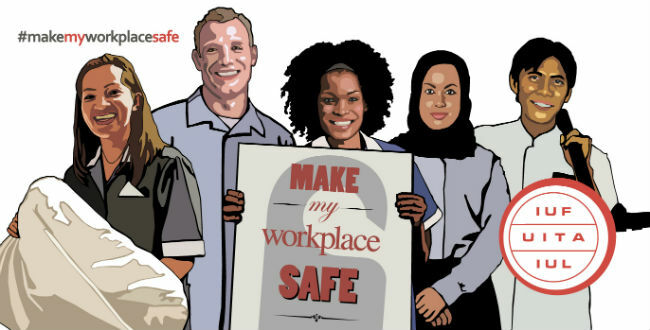 The latest issue of the UK workplace health and safety publication Hazards' features IUF global hotel housekeeping campaign from a health and safety angle, stressing that "improving workers' health and safety was the best way for hotel unions to recruit more members, become better organised and to empower members to negotiate better working conditions". 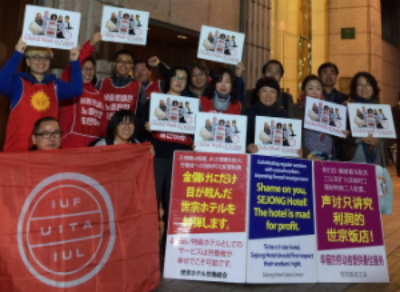 Hotel workers from all continents took part in the 2nd IUF Global Week of Action from November 4-11, 2015 to highlight the unacceptable working conditions of housekeeping staff and their determination to fight for a safe and secure working environment. 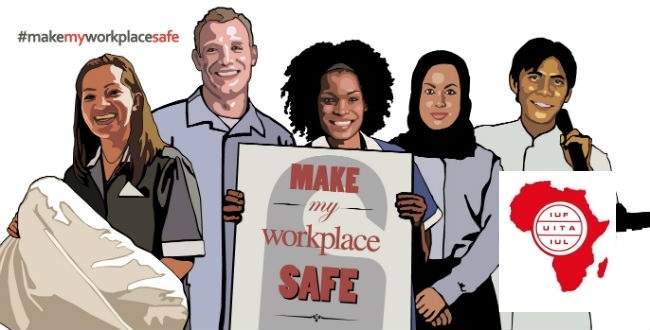 Two important research documents have been prepared for the IUF Initiative, "Make My Workplace Safe" by students of the Labor Law Clinic at Cornell University Law School to develop and expand on research originally conducted by Yale Law School, on Argentina, India, and Indonesia. 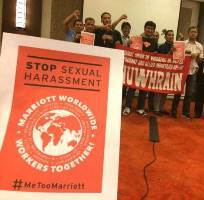 The IUF-affiliated NUWHRAIN set up a Campaign Committee in August after joining the Global Housekeeping Campaign and has won important gains for local union chapters at Sofitel and Holiday Inn in Manila. In Nigeria, some 30 participants, female and male, attended two workshops in August to identify the problems facing workers in the hospitality industry and discuss discuss key union priorities. The second strategic meeting on the Global Housekeeping Campaign, held 11-12 September in Langkawi, Malaysia, brought together 62 participants from 15 federations and national level unions from 13 countries to continue building the initiative. 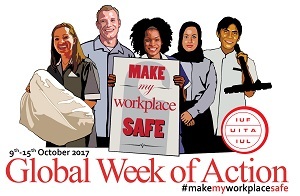 Union members from six hotels in southern India joined the "Make My Workplace Safe" educational workshop in Bangalore on August 7-8 as part of the IUF Global Housekeeping Campaign.